"Over an acre lot with rambler-style home, attached two-car garage and enormous outbuilding (approx 2000 square feet with concrete floors). Zoned horse property all around. Nearly endless possibilities. Right off I-15 and within a stones throw of IKEA. Value is in the land, but home has good layout and light; needs some TLC, but in decent shape. Offered AS IS. Access for outbuilding from either frontage road or front of home on neighborhood street. Big, mature trees, nicely landscaped. Zoned commercial in the city's master plan. Note: three exempt parties. " "Amazing panoramic VIEWS of the valley and mountains from this custom rambler built by J&J Construction. This home has recently undergone a major remodel with a new gourmet kitchen w/ quartz countertops & new LG appliances, new bathrooms, new furnace & A/C, new garage doors & openers, all new flooring, new railings, added insulation in attic, new paint throughout, all new LED lights & light fixtures, new ORB hardware and motorized window shades. 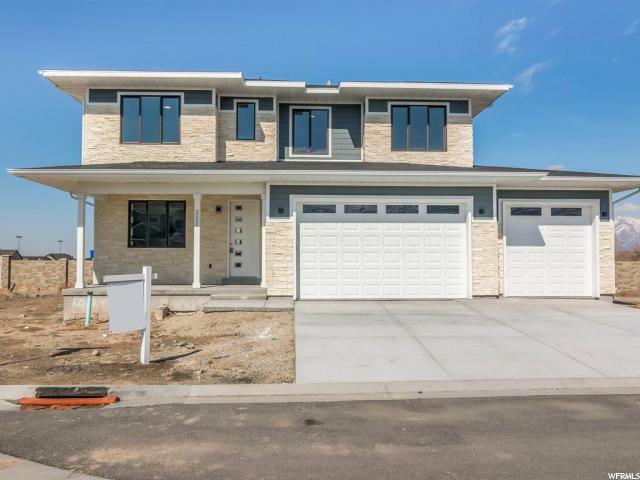 This home is close to shopping, freeway access, trails (hiking, running & mountain biking) and is within walking distance to Draper pool and the new Rec Center. 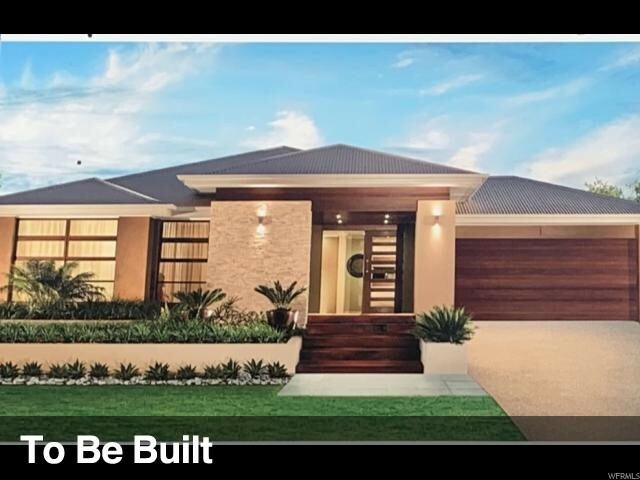 This home is a definite must see!" "****Exquisite Home in Highly Desired East Side Draper Location, Stunning Mountain & Valley Views, Bright, Open & Spacious Floor Plan, Large Bedrooms, Hardwood Floors, Plantation Shutters, ALL NEW Stainless Steal KITCHEN AID Appliance's in Kitchen and NEW Washer and DRYER Included, Fully Finished Basement with Wet Bar (could be mother-in-law) Luxurious Master Suite w/ Spacious Walk-In Closets and master bath, Large Fully Fenced Back Yard with new sprinkler system and New Air Conditioner, All Located Within Walking distance to Golf Course, Corner Canyon Hiking Trails & Draper Temple. 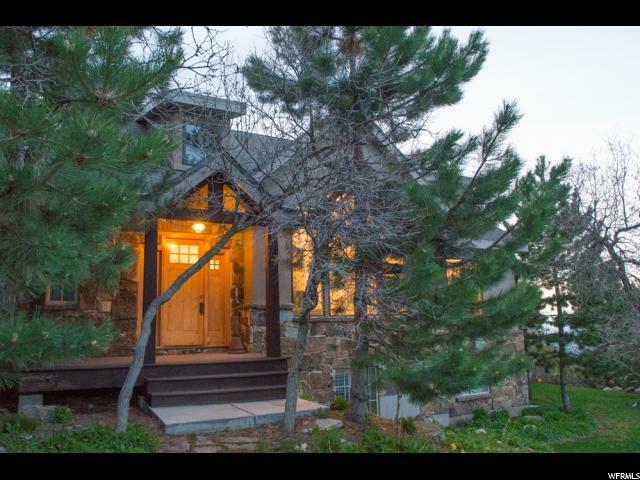 This house is close to 86 miles of Draper hiking and mountain biking trails. One of the few homes without an HOA in the neighborhood. 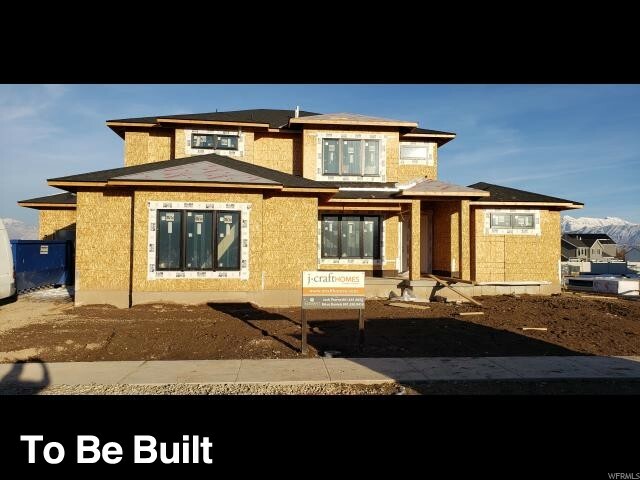 Brand New Carpet Throughout and $20,000 worth of back yard landscaping with amazing patio for family gatherings. Buyer & buyers agent to verify all listing information. **** "
"Beautiful Custom Built Two-Story home in wonderful Draper neighborhood! The floorplan is fantastic and will not disappoint! Main floor master bedroom suite, spacious kitchen/greatroom, office and second bedroom. Upgrades include custom cabinetry, granite counter tops, SS appliance package including gas range and double ovens, gorgeous newly refinished hardwood flooring. 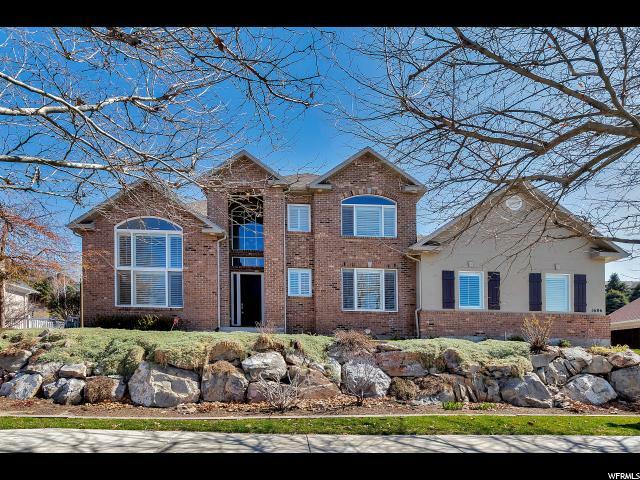 This 7 bedroom, 4 bath home is fully finished and has, exercise room, theater room and another large greatroom in the basement. 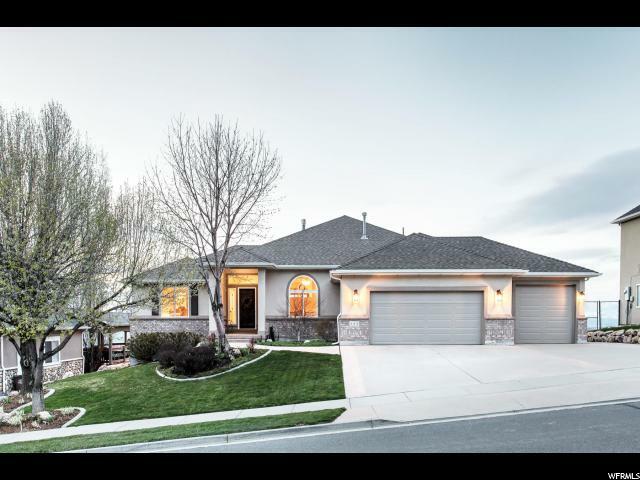 3 car garage and beautiful views from spacious backyard are a bonus! Put this one on your list to see! *Buyer To Verify All Info." "Location! Location! Location! And $25k PRICE DROP!! Beautiful All-Brick East-Side Draper Rambler surrounded by Multi-Million $ Properties. 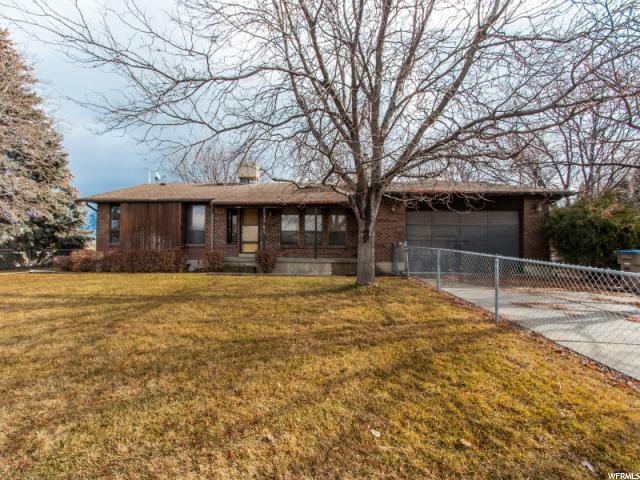 Home Sits on a Beautiful Fenced Lot with plenty of Room for a Pool, Play Structure, Fire Pit-Whatever you want! 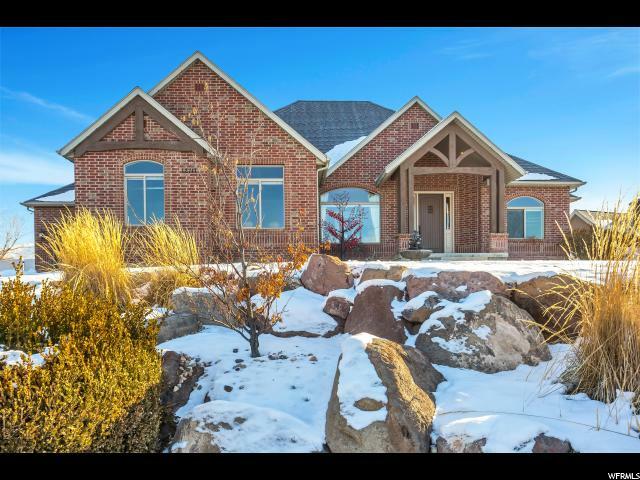 Interior boasts Vaulted Ceilings, Large Kitchen, Formal Living Room which could also Double as an Office, and Main-Floor Master Suite. Basement has Second Kitchen and Two additional Family Room Spaces Along with 4 more bedrooms and another Laundry and Bath. Original Owner added extra insulation to both exterior AND interior walls so home is Energy Efficient and Quiet. Secondary Water for Low Water Bills and No HOA. Extra Large Garage is large enough for a Full-Size RV or would Make a great Workshop or Boat Storage. Garage is extra-Wide for plenty of Storage. Driveway can Park a LOT of cars! Home is convenient to everything Draper! 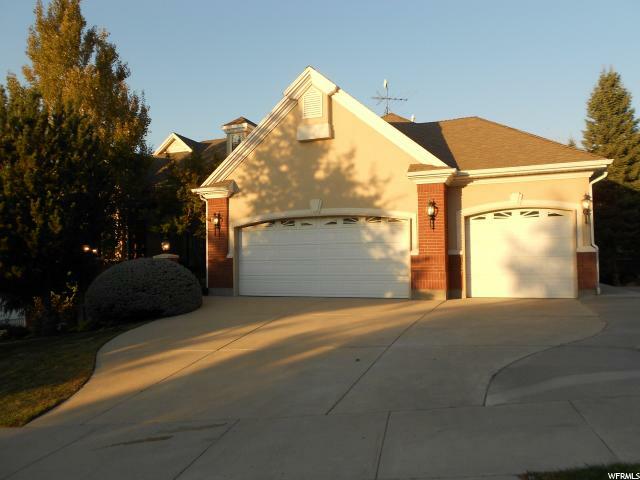 Close to Schools, Parks and Shopping. 20 Minutes to World-Class Ski Resorts, minutes to walking/Biking Trails. This home on a quiet, dead-end street is a must-see and is a fabulous location! All information deemed accurate and reliable; buyer to verify all. " "The Rosamund at Fox Landing! 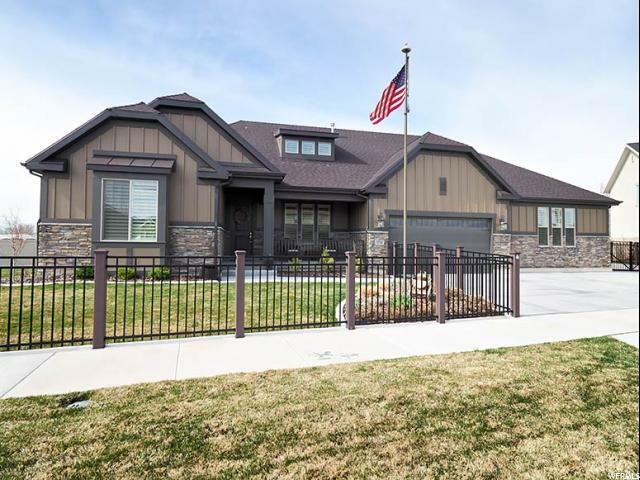 Visit our Rosamund Model Home at 700 West and 11605 South. Fox Landing has awesome 1/3 and 1/2 acre lots in Draper! Minutes from I-15 for a fabulous commute! 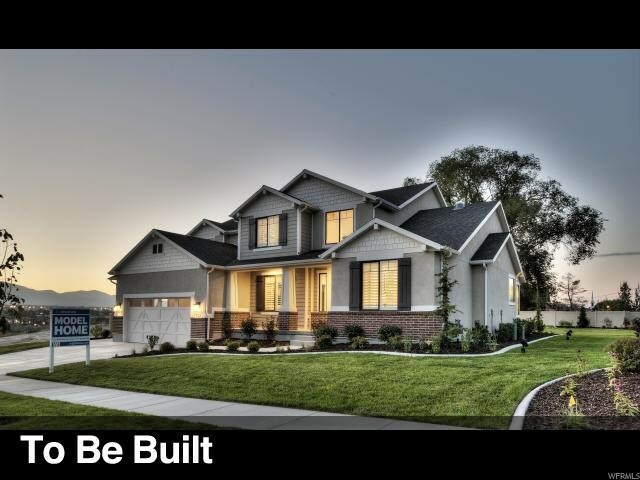 Pictures of Rosamund Model Home. " "Enjoy gorgeous views year round from your new covered back deck. Entertain in your updated kitchen that opens up to the family room with a stunning fireplace & vaulted ceilings. This Draper home has it all, plenty of space for any occasion. 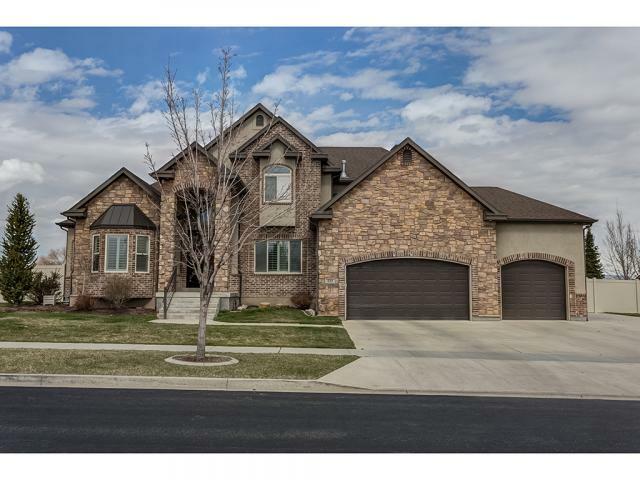 6 bedrooms & 4 bathrooms, huge family rooms upstairs & down with a walk-out basement to the grassy private yard. This home has new paint, new countertops, new plantations shudders, a gorgeous new front door & more. Come see your new house today! Buyer to verify all. " "Near new home including many upgrades such as flooring, countertops, euro shower in the Master, wood wall feature, barn door feature, and upgraded lighting. Plantation shutters up with 2 inch blinds down. Built for entertaining with open floor plan, 60 foot deck off dining. Patio with Firepit. Man cave in heated garage with fireplace adds additional room for entertaining. The garage is insulated, finished, painted, has epoxy floors, work bench and fans. The RV parking has 220 power. There is a water feature with stream, arbor and the yard is fenced in decorative aluminum and trex fencing. Square footage from County record. " "A captivating view of sparkling city lights from giant living room windows draw you to this beautiful Draper home located in the prestigious Ridgewood neighborhood. Thoughtfully laid out main floor living allows complete ease and comfort on one floor, but expansive space upstairs and in the basement provide extra room. Vaulted ceilings, dazzling chandeliers, and an open kitchen with granite counters create a special home equally ready for entertaining or quietly enjoying an evening in. The combination of a perfect home and the perfect neighborhood make this home an alluring find." 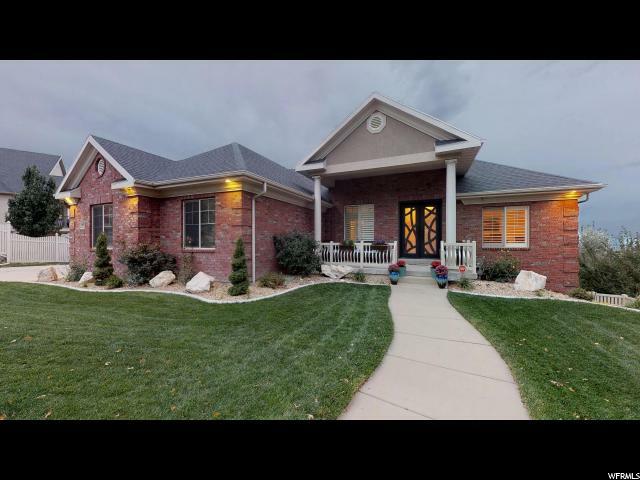 " You do not want to miss out on this custom remodeled Draper home!! It is centrally located right in the heart of Draper. You are within a short distance of the freeway access, shopping, and restaurants. The Sellers have taken so much pride in ownership with this home! It was fully remodeled in 2016 with custom finishes. 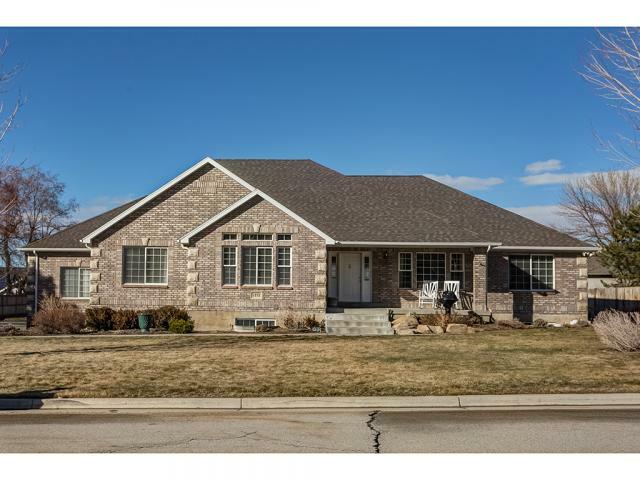 This home features a fully remodeled light and bright open concept kitchen, wall windows, and vaulted ceilings that open up to the family room area with a gas fireplace. You conveniently have the master suite, Laundry/mudroom, and den all located on the main level, and all bedrooms throughout the home feature walk-in closets! Let's not forget all of the the custom 8 inch base boards along with beautiful custom crown molding throughout; and top of the line/ high grade flooring has been installed throughout the home. All LED can lighting throughout. The Basement feautures a fully plumbed wet area with flooring complete for a full 2nd kitchen! Let's not forget the theater room/great room area along with a complete rec room great for: Working out, game tables, dance area. It is a great space! There is an extra fun space for a secret playroom and so much storage; Also seperate heating in the basement. The 0.80 fully landscaped lot features breathtaking views that will always be un-obstructed... you can see for miles! The backyard is an entertainers delight with a fully covered deck/patio and so many beautiful mature trees giving you privacy! The extra wide 3 car garage along with RV parking is every man's dream! There are so many wonderful custom features on this home! Come see for yourself. This one is priced to sell and will go fast! Square footage figures are provided as a courtesy estimate only and were obtained from . Buyer is advised to obtain an independent measurement." 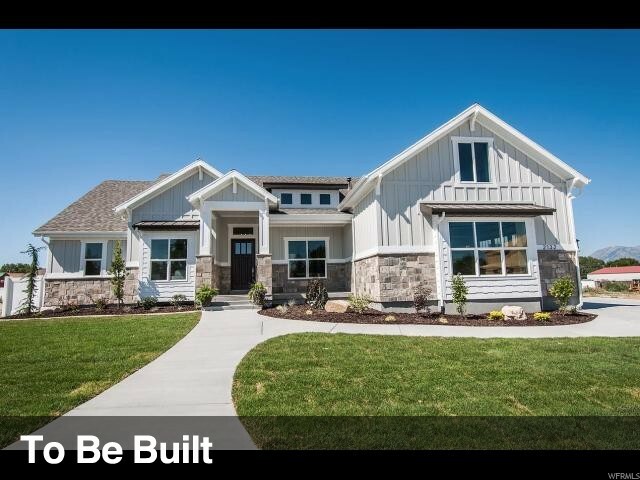 "Gorgeous New Construction! 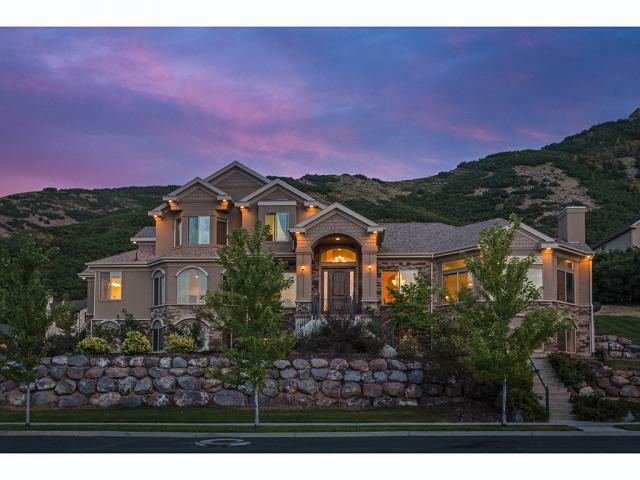 Palomino Estates custom-home neighborhood in the heart of Draper with access to Everything. Enjoy Mountain Vista Views from every window. 1/3 acre lot (which is uniquely positioned so that there are no neighbors in front or behind). Watch the geese swim on Brown's Pond as you Entertain in your Gourmet Kitchen with gleaming Stainless Steel appliances and open-concept Great Room. Or head up to your Master Bedroom Suite and relax in the Free-Standing Bathtub. There's storage galore--a huge walk-in closet in the master, walk-in or deep-set closets in the bedrooms, ample cabinetry in the Mudroom and Upstairs Laundry Room, closets in the halls, storage closets in the bathrooms--seriously, you will not run out of storage space. Convert the Suspended Slab into your future Theater or Game Room (yes, the ceilings are 9' down there too) and you will still have a cold-storage closet. Move an entire 2nd family into the 2 bedroom, 1 full bathroom Finished basement with enormous family room/play area. Or invite guests for a weekend during ski season. Or don't, it's your home!"